Miami, Florida / August, 2017: Interview with a Mango is a Chef Michael Bennett’s healthy recipe cookbook that helps you become healthier by using food and recipes originating from the Caribbean and making them healthier by using Chef Michael Bennett’s modern Mediterranean cooking techniques. “I have developed a new recipe categorization: “Medi-bbean”. Like my other healthy fusion cookery recipe books, this one combines healthy Caribbean foods with the healthy cooking techniques from Mediterranean counties; such as: Italy, Israel and Greece.” All healthy ingredients are meant to FUEL, NURISH, RESTORE, REVITALIZE AND SUPPORT a rich lifestyle. People know the key to a healthy life is a clean, simple whole fresh foods diet in some form or fashion. Chef Michael Bennett has lowered cholesterol levels by increasing the amount of plant base nutrition non vegans/vegetarians intake, increase their fiber, add a variety of fruits and vegetables to increase antioxidant intake and most recipes are deemed low glycemic healthy grain, dairy, oils and fats. Chef Michael limits beef the most recipes are prepared using healthier poultry, pork and seafood. • I’m trying to get people back to eating fresh healthy clean natural whole foods and ingredients, catering to the young and the young are heart. • These foods contain ingredients that fuel and support the athletic and still cater to a normal individual. Leafy greens, veggies, legumes, health fats and oils, fruits, grains and lean proteins make up all the recipes in this book. A variety of vegetables or fruits, and spices from these destination locations will be used in every dish. • Meal categories will naturally include: *Gluten Free *Low Glycemic Diet *Paleo Diet *Vegetarian Diet and healthy *Kids meals. 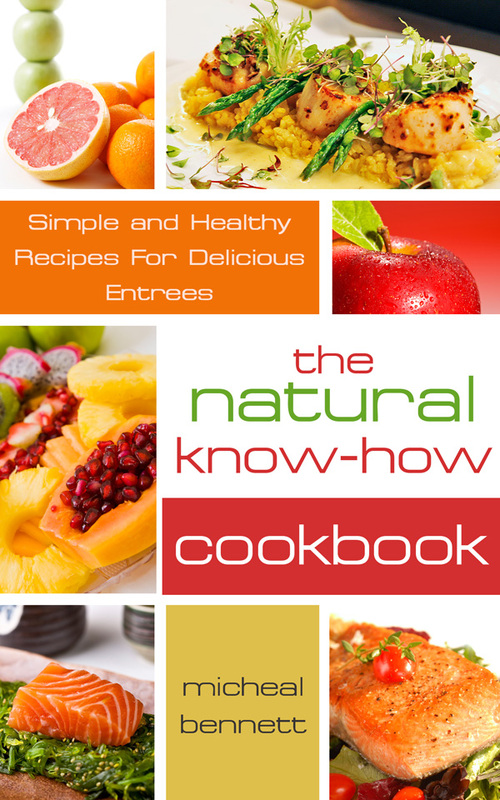 • Recipes were formatted using this thesis: all ingredients that were researched and implement in this book mostly came from neighboring Latin, West Indies and Caribbean countries. o Many popular cultural foods were place into this book’s recipe roster from counties like: Trinidad and Tobago (West Indian food); Jamaica, Virgin and the Cayman Islands (Caribbean foods); Cuba, Dominican Republic and Puerto Rico (Latin foods). o Healthy oils are used for this book’s recipes. Extra virgin olive oil (EVOO), coconut oil and flax seed oil are used to discover the healthy alternative way to sautéing and cooking in oil. o Recipe include healthy and mostly gluten free cooking techniques common in popular countries from; China, Japan, Thailand, Italy (and other Mediterranean basin distinctions), the Greek Islands, and Kosher (Israeli). o Research mirrored extremely popular foods in the Caribbean then they were altered into a tasty healthy gluten free balance. o Each meal will come with 3-5 suggestions of other ingredients that can be used in the recipe to alter or change the dish somewhat if need by the reader. Such as the use of Agave nectar instead of sugar. o Most ingredients will be naturally GMO free, process and preservative free.  Baking, grilling, roasting, sautéing, boiling, steaming and slow cooking processes are used.  All breads, wraps, dessert, thickening or dusting flours are gluten free.  As commonly found in the Mediterranean diet, the use of combinations of leafy greens should always be included into each recipe if not stated otherwise.  Avocadoes are used in recipes to substitute for the missing fat content of original recipes that might have originally used high cholesterol / high saturated fat proteins. Miami, SOUTH BEACH, Fla.–(The Professional Image, Inc.)—Chef Michael Bennett has wined and dined across the Caribbean in gourmet restaurants and hotels stationed on unique tropical destinations around the world to gather recipes for his latest cookbooks. Today, Bennett maintains a remarkable 50-pound weight loss while continuing to enjoy the absolute best in exotic tropical recipes, coupled with an active lifestyle. Chef Bennett believes that you should never have to sacrifice quality, taste, enjoyment, or satisfaction when attempting to lose 10, 50 or even 150 pounds. Chef Bennett’s vision is simple: you deserve the best and you, too, can enjoy gourmet foods and lose and maintain a healthy weight – complimented by regular exercise. Chef Michael features delicious and healthy gourmet gluten free recipes that he developed from seven of the Caribbean’s top resort locales. His recipes have namesakes like: Antillean (Haiti-French) and Dominican (Spanish), St. Barts, Martinique (French), Blue Mountain (Jamaica-English), Belize (Central American) and St. Croix (an Island governed by 7 different countries). Chef Bennett’s inaugural signature use of these restaurant proven recipes was at Bimini Boatyard in Fort Lauderdale, Florida and, his three generations of menu (circa 2009-2012) exemplified authentic, healthy gluten free tropical fare. After returning from his four year journey across the Caribbean, Chef Michael Bennett used only the finest and locally available quality ingredients that reflected his recipe pursuit in the Caribbean. Chef Michael first embarked offering a lighter fare for patrons who expect the best – outstanding taste and exquisite presentation – using All-Natural Seafood. His dishes soon featured gluten free as the predominate footing in future seasonal menus that eventually evolved into an entirely separate bill of fare for the restaurant. Bennett’s recipe development namesake unify into two cookbooks: All-Natural SURF Cuisine; May, 2014 and a Gluten Free FLAVOR QUEST; July, 2014 that are being published by The Professional Image, Inc. Bennett debuts these published recipe memoirs as part of a series of healthy gourmet tropical cookbooks. Bennett intends to launch another healthy gourmet recipe cookbook later this summer earmarked “Interview with a Mango”. His groundwork and signature recipe assertion will introduce a fresh audience of Mango devotees to healthy gluten free mango recipes. 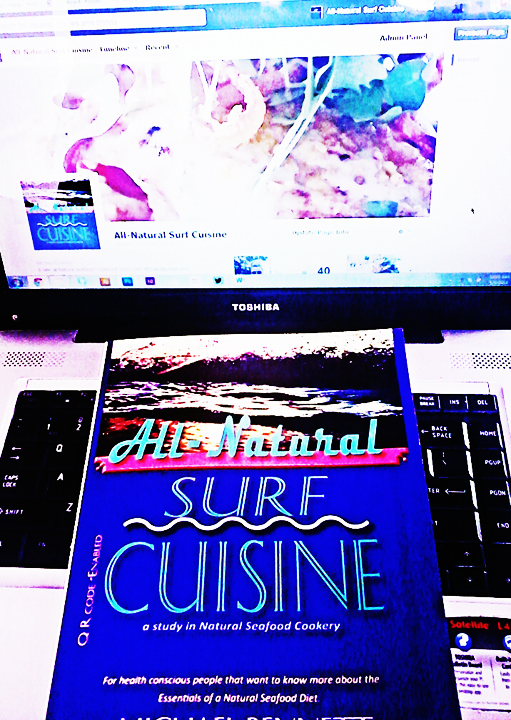 All-Natural SURF CUISINE (ISBN: 9781495105982) features 160 page, 100 plus Gluten free Seafood recipes and 40 + Full color pictures are as vigorously innovative in the use of fresh seafood as they are ceaseless examples of a beneficial diet strategy. A Gluten Free FLAVOR Quest (ISBN: 9781495117619) features 170 page, 125 plus gluten free recipes with over 50 Full color pictures that include pantry busting chapters in spice and marinade combinations, salads, and one just on sauces – that will astonish – paired with any food you would normally serve for dinner in your home tonight. From the time when chef Michael Bennett directed South Beach’s Epicure Gourmet Market’s healthy Spa-Cuisine menu expansion (circa, 1989-95), he has always wanted to revisit the console of utilization only the best locally-harvested ingredients to procreate superlative healthy All Natural, Gluten Free, Seafood-based Cookbook. In the past two years Chef Michael Bennett has been concentrating on developing and extending his solidarity of “All-Natural” and “Gluten Free” cookery with his culinary consultancies in America and in the Caribbean. This commenced stemming from a family history where Chef Michael Bennett’s father suffered from massive heart problems. Thirty years ago his family decided to get away from beef-related dinner table but the choices in the 1970’s were limited to chicken, turkey or frozen seafood from the north. Air transportation wasn’t as advanced as today so the only seafood they ever had on the dinner table was what they caught themselves. This is how Chef Michael fostered his love and matured his knowledge of Tropical seafood. Michael Bennett is a well-known award winning (Chef of the Year-1995) South Florida chef whose customers have been the Who’s Who of Media and Sports personalities. He earned critical culinary kudos as the Executive chef for the 26 year-local culinary force Left Bank restaurant. Under his auspices he brought “Best of” (Zagat Survey), Four Stars (AAA) and Four Diamonds (Mobil) to the long-standing three star rating. He also holds culinary affiliations with several culinary and food-related organizations. He regularly lectures on Gluten Free and Natural “Caribb-ican” cuisine. Chef and Author Michael Bennett, an acclaimed South Florida chef has made a name for himself by mixing culinary traditions from diverse parts of the World. What the Mango Gang joined together no one can really rend asunder. Puzzled? That’s not surprising. A hybrid of the words Florida and Caribbean, “Floribbean” denotes the blending of these regions’ tropical ingredients – an abundance of fresh tree fruit, ground roots and seafood – with warm-weather-friendly cooking techniques like marinating and grilling. It was, and still is, a term widely accepted by well-educated diners, by those who live here as well as by those who visit. “Floribbean” even appears as a valid category in online dining directories such as Frommer’s. But while it makes perfect sense for prospective diners to pigeonhole places with a cutesy portmanteau, many of the South Florida chefs preparing this type of fusion reject it. They feel the moniker lacks dignity, and neglects other elements of the cuisine as a whole – namely, its Deep South, Asian and Mediterranean influences. Today, the debate continues, with some Fort Lauderdale chefs calmly acknowledging that their contemporary “farm-to-table cuisine” has Floribbean roots, and others flatly denying that Floribbean by any other name smells just as enticing, even when the evidence is on the plates in front of them. At the time the name was coined, back in the late 1980s, South Florida chefs – mainly those in Miami who were conducting this epicurean renaissance – were actively trademarking Floribbean cuisine a number of other ways. Norman Van Aken, at a Mano, and Allen Susser, at Chef Allen’s, both called it New World Cuisine, publishing cookbooks on the subject. At Mark’s Place, Mark Militello, who combined the goods from artisans from all over the country with local product, preferred New American. Cuban counterpart Douglas Rodriguez, approaching the dishes from a Hispanic sensibility at YUCA in Coral Gables, termed it, logically, Nuevo Latino. Together, these four pioneers were labeled the “Mango Gang” for their collective and oft-experimental use of tropical fruit, local flora and fauna and borrowed modus operandi. (Mango Gang is another name, it should be noted, that was also roundly loathed.) Other Miami chefs were quickly added to their circle: Johnny Vinczencz, gaining fame at Astor Place as the “Caribbean Cowboy;” Robbin Haas at the Colony Bistro; Tony Sindaco at Langosta Beach; Michael Schwartz at Nemo; Cindy Hutson and Delius Shirley at Ortanique on the Mile. No matter what it was called, and which cultural arm it pulled on most, the cuisine was met by critics with a mixture of love and hate, admiration and envy, clarity and confusion. Dishes were a riot of influences with titles as long as those of Fall Out Boy songs, such as Van Aken’s “Snapper Escabeche Ensalada with Salsa Romesco, Arbequine Olives, Avocado, Oranges, and Ribbons of Greens.” One plate could have as many as five or six different components on it – a protein, a starch, a sauce, a salsa, a garnish – built on top of each other architecturally. Successful dishes were just that; failures were like pileups on I-95, with each element spun around in a different direction. Although Max missed the first flush of Floribbean cuisine in Miami, he was at the forefront of it in Broward County when Mango Gang-era chefs like Johnny Vinczencz, chef-owner of Johnny V. on Las Olas Boulevard, and Tony Sindaco, chef-owner of SEA in Lauderdale-By-The-Sea, migrated north. They joined chef Oliver Saucy and Darrel Broek, co-owners of the 30-year-old Café Maxx in Pompano Beach, where Saucy had always followed a fresh-and-local credo set forth by his father, who taught him to cook long before he attended the Culinary Institute of America. One of those very cool things was the treatment of Indo-Asian flavors. They came into the mix by virtue of African, Indian and Chinese immigration to the islands and then, by extension, South Florida. These stewed, curried and wok-fried rudiments are an integral part of Floribbean cuisine, one of the reasons why chefs objected to its non-inclusive name in the first place. Climate, however, plays the main role in introducing those now-familiar fundamentals to the cuisine, argues chef and cookbook author Michael Bennett, who most recently held the helm at Bimini Boatyard Bar & Grill on SE 17th Street. Given the disagreement over the Floribbean name and definition, it should come as no great shock that many of today’s chefs either refuse to admit that their cuisine is Floribbean, or don’t even know what that means in the first place. For example, the chef team from the Seminole Hard Rock complex displayed their goods at the South Beach Wine & Food Festival in February. The presentations consisted of dishes such as chicharrón bites, mango chimichurri, queso blanco, pickled onion and roasted tomato salsa; an arepa slider (braised carne asada, fresh mozzarella, cilantro garlic aioli, avocado, crispy corn arepa); and chocolate hazelnut panna cotta (Nutella, coffee gelée, toasted banana cake, chocolate cookie crumbs). Even the cocktails, including a caipirinha made with Leblon cachaça, simple syrup, pineapple, mint and lime juice, seemed like a Floribbean given. Most likely, the reluctance to identify with Floribbean sprouts from the very same kind of thing that gave birth to the label in the first place: a trend. As much as critics were quick to define culinary paradigms in the 1990s, and chefs were quick to align themselves with one, this decade sees the same professionals trying to resist classifying and being classified. As far as flaunting goes, Johnny V. continues to be crowded, and not much menu evolution has gone on there. Down the street, the very on-trend YOLO, run by the former Himmarshee folks, delivers some Floribbean dishes, although it leans more Mediterranean overall. At 3030 Ocean, the always in-demand Paula DaSilva has picked up where Dean Max left off, with plenty of sophisticated, far-from-overwrought Floribbean fare. And the much-beloved Café Maxx, unlike southern counterparts Norman’s, Chef Allen’s and Mark’s Place, appears to be like bamboo in a hurricane: unbreakable. In addition, long-running Eduardo de San Angel can be interpreted as Floribbean-Mexican; Blue Fire Grille in the Fort Lauderdale Marriott North has a Floribbean-Mediterranean vibe; Salt Life Food Shack in Coral Springs has a good number of items that qualify; and Sugar Reef Grill, on Hollywood Beach, has had a long run with items that include tropical fish stew in green curry sauce and Jamaican pork loin. Farther west, you can also find Floribbean dishes at the Banyan Restaurant and Bar Zen at the Bonaventure Resort & Spa. Is farm-to-table the culmination of Floribbean fare? Has it evolved to the point of disappearance? Or has Floribbean cuisine turned into Asian fusion, served at swank beach establishments such as Tsukuro? Perhaps we should define Floribbean, and search for it, based on what it isn’t, as Bennett suggests. But in another light, it looks like Floribbean cuisine has been assimilated – which means its destiny as a regional cuisine lies in the hands of a new generation of chefs, much like the ones who created it in the first place. Chef Michael Bennett’s first Two Natural Cooking eBooks mingle into a single All-Natural SEAFOOD cookbook. Miami, Fl. – May, 2014 ~ Chef Michael Bennett has pursued a healthier lifestyle after he turned 40 and these books echo recipes that have helped him achieve his goals. There are so many All-Natural and Gluten Free cookbooks that get released every year, adding to the already formidable collections in bookstores, it can be hard to figure out which ones are worthwhile. After you read the subtitle; “a Study in Natural Seafood Cookery” and, leap through the pages of All-Natural SURF CUISINE you will see this one is just what your healthy dining regime needs. 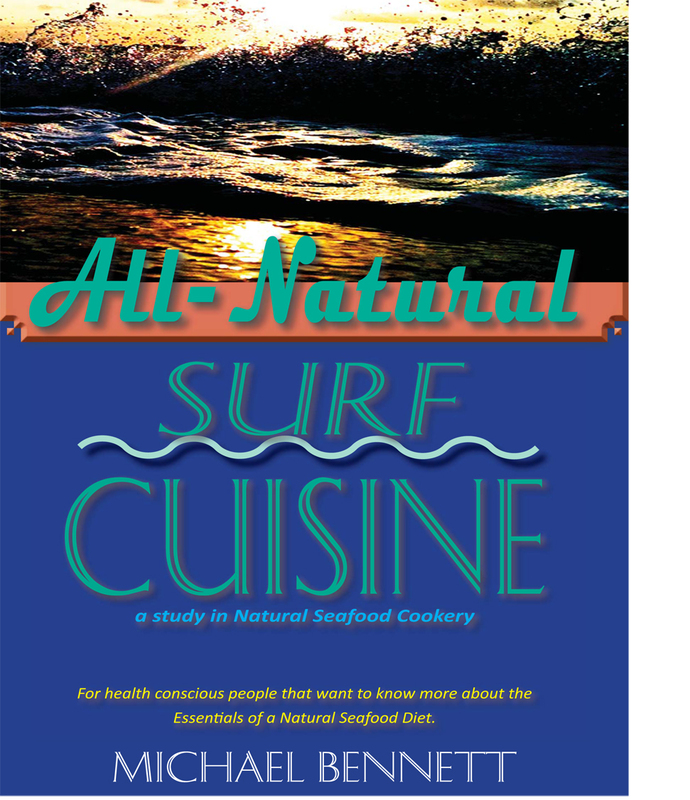 All-Natural SURF CUISINE features 100 plus recipes are as vigorously innovative in the use of fresh seafood as they are ceaseless examples of a beneficial diet strategy. Here’s a look at common sources of each type of dietary fat. Be aware that many foods contain different kinds of fat and varying levels. Some truths should be taken at their true values. As an example some people will say that butter contains unsaturated fats, but it is largely made up of saturated fat. Canola oil is highly monounsaturated but it also contains small amounts of polyunsaturated and saturated fat. This includes all types of dietary fat. Limit total fat intake to 20 to 35 percent of your daily calories. Based on a 2,000-calorie-a-day diet, this amounts to about 44 to 78 grams of total fat a day. While no specific amount is recommended, the guidelines recommend eating foods rich in this healthy fat while staying within your total fat allowance. Limit saturated fat to no more than 10 percent of your total calories. Less than 300 milligrams a day. Less than 200 milligrams a day if you’re at high risk of cardiovascular disease. Read food labels and look for the amount of trans fat listed. It’s best to avoid foods that contain trans fat and those that have been partially hydrogenated. Use liquid vegetable oil instead of solid fats. From the time when chef Michael Bennett directed South Beach’s Epicure Gourmet Market’s healthy Spa-Cuisine menu expansion (circa, 1989-95), he has always wanted to revisit the console of utilization only the best locally-harvested ingredients to procreate a superlative All Natural, Seafood-based Cookbook. In the past two years Chef Michael Bennett has been concentrating on developing and extending his solidarity of an “All-Natural” and “Gluten Free” cuisine with his culinary consultancies. This was all imitated from a family history where Chef Michael Bennett’s father suffered from massive heart problems. Thirty years ago his Family decided to get away from beef-related dinner table but the choices in the 1970’s were limited to chicken, turkey or frozen seafood from the north. Air transportation wasn’t as advanced as today so the only seafood they ever had on the dinner table was what they caught themselves. This is how Chef Michael fostered his love and matured his knowledgeable of locally-caught seafood. Like his first cookbook, “In the Land of Misfits, Pirates and Cooks” a GLUTEN-FREE cookery guide and, his fourth and fifth cookbooks “Natural Recipes that will Change your Life” and “Natural Know-how Cookbook”, All-Natural SURF CUISINE also features 100 plus recipes, more than 30 Full-color recipe. Welcome to the Summer Cookbook and Food Book Preview. Here you will find Summer releases (May 1 to August 31) that are about, written by, or could be useful to chefs/restaurants. 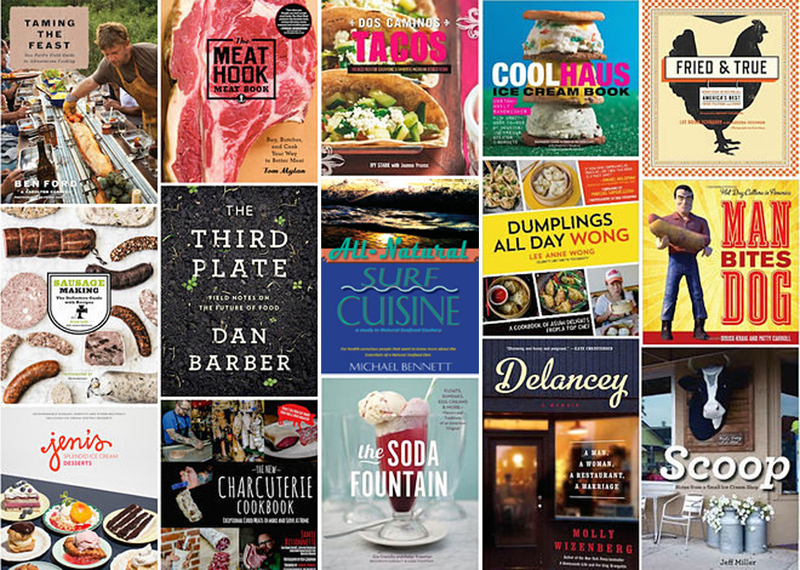 As usual, Summer is a big season for ice cream books and grilling/barbecue books; but there’s something for everyone among the titles below. First, meat. On the grilling and barbecue front, there’s Los Angeles chef Ben Ford’s guide to massive outdoor feasts, Taming the Feast, and flavormeister Guy Fieri discover fire in his outdoor cookbook Guy on Fire. For a bit more challenging fare, explore charcuterie with either a sausage book from Ryan Farr of San Francisco’s 4505 Meats or NYC/Boston chef Jamie Bissonnette’s new guide to charcuterie. Need to make both the backyard cookout master and the culinary showoff happy? Go for The Meat Hook Meat Book for instructions on making Brooklyn’s finest rooftop ribs and/or country pate. Next, for the more popular books for Summer time reading has been lighter, healthier recipe cookbooks like; Chef Michael Bennett’s “All-Natural SURF CUISINE”. Rounding out Summer’s offerings are a book on the future of food from chef Dan Barber, a baking book from the ex-St John pastry chef Justin Gellatly, a big shiny chef book from Paris two star restaurant Le Cinq, the 40th anniversary reboot of Richard Olney’s classic Simple French Food, and a cocktail book from bartender Jeffrey Morgenthaler of Clyde Common in Portland. As for Summer’s favorite dessert treat – ice cream, Ohio ice creamist Jeni Britton Bauer of Jeni’s Splendid Ice Creams has a new book out. There are also books from Maine’s Jeff Miller of Scoop, Brooklyn Farmacy and Soda Fountain, national food truck Coolhaus ice cream sandwichery, and London’s Ruby Violet. Chef Ben Ford (The Filling Station, Los Angeles) goes big on this, his first cookbook. The book lays out plans for feasts of mammoth proportions, with everything from a whole hog roast to a north woods lake fish fry to a burger-and-brats block party. The book was co-written by Carolynn Carreño (who worked on the Mozza cookbook as well as the Shopsin’s cookbook) and has photography from Frank Ockenfels III. Check out a preview here. You want healthy Summer grilling help? 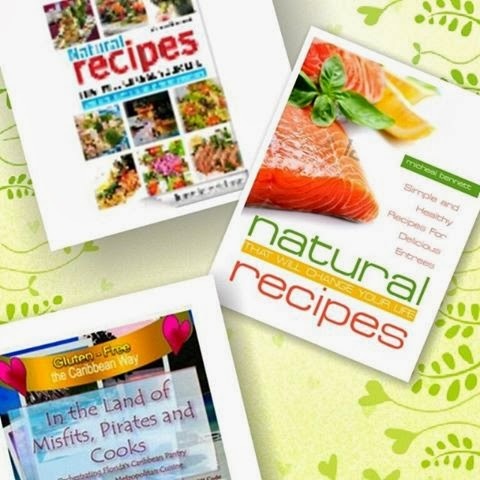 South Florida author and chef Michael Bennett has 100 healthy and Gluten-free Seafood recipes for you. All recipes are Gluten-free and naturally healthy for you — including tuna, escolar, grouper, lobster, yellowtail snapper, swordfish and all-natural sauces and accompaniments that are tied together by photographs that explain the plating techniques. Photography by; The Professional Image. Ohio’s cult favorite ice cream maker Jeni Britton Bauer is back with her second cookbook, and this time she’s expanding beyond the frozen treats that made her famous. Here bakers will find recipes for baked goods to accompany ice cream, from sundae toppings to cobblers to cookies for making ice cream sandwiches. In addition, the book contains 30 recipes for new ice cream flavors including Absinthe & Meringue, Juniper & Lemon Curd, Cumin & Honey Butterscotch, and more. Recent James Beard Award winner and Boston/NYC chef Jamie Bissonnette shares recipes for charcuterie from a variety of traditions, including traditional European, Latin and Middle Eastern-inspired recipes. Photography is by Ken Goodman and the foreword is by Andrew Zimmern. 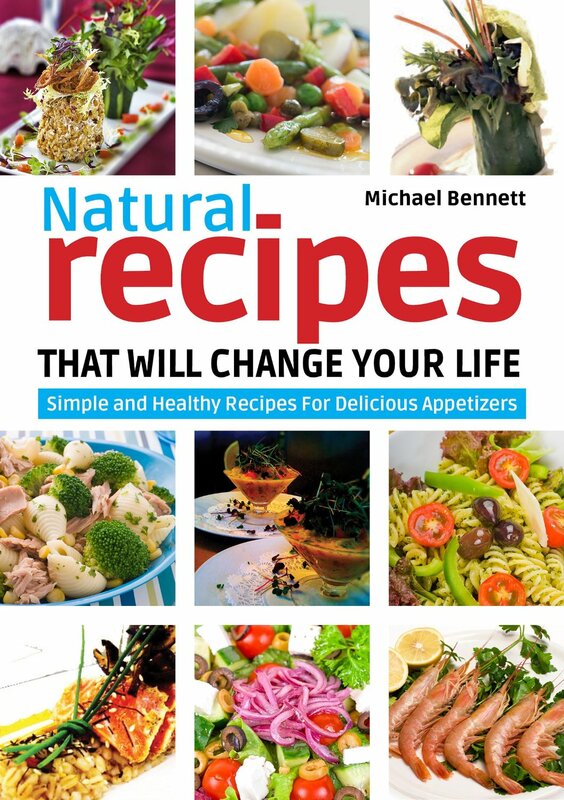 Chef Michael Bennett’s Cookbooks are being sold here on this site at publisher discounts. Chef Michael Bennett’s first Two Natural Cooking eBooks mingle into a single All-Natural cooking paperback. 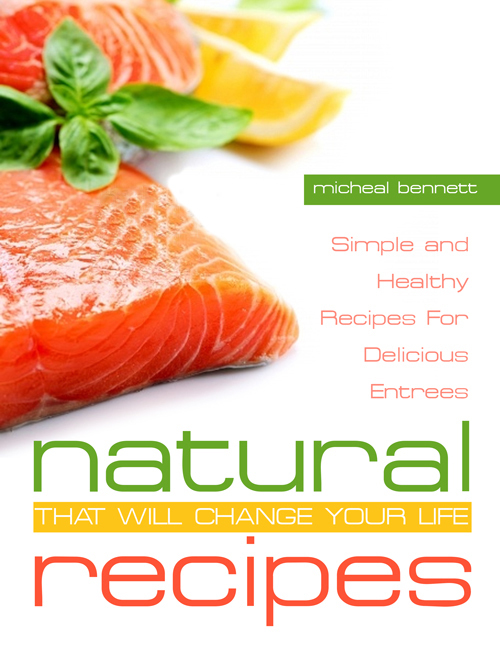 Chef Michael Bennett’s first Two Natural Cooking eBooks mingle into a single All-Natural cooking paperback..
New all-Natural Surf Cuisine Cookbook from Chef Michael Bennett. His sixth published cookbook since 2009. Chef Michael Bennett creates All-Natural SURF CUISINE from his previously released Amazon Ebooks on All-Natural cooking. Miami, Fl. – December, 2013 ~ Chef Michael Bennett has pursued a healthier lifestyle after he turned 40 and these books echo recipes that have helped him achieve his goals. 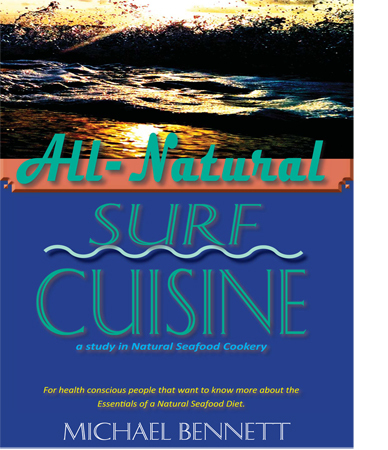 All-Natural SURF CUISINE will be release January 2014 and features 100 plus recipes that are as vigorously innovative in the use of fresh seafood as they are ceaseless examples of a beneficial diet strategy. This was all initiated because of a family history where Chef Michael Bennett’s father suffered from massive heart problems. Thirty years ago his Family decided to get away from beef-related dinner table but, the recipe choices in the 1970’s were limited to chicken, turkey or frozen seafood from the northern USA. Air transportation wasn’t as advanced as today so the only seafood that ever made it to the dinner table was what they caught themselves. This is how Chef Michael fostered his love and matured his knowledgeable of locally-caught Florida and Caribbean seafood. Many in the Foodservice industry have this lifestyle inclination. It is simply in one’s blood. Author and Restaurateur, Michael Bennett has opened and operated several successful restaurants in both the United States and the Caribbean all-the-while continually writing and publishing cookbooks. Some cookbook reviewers have thought that Chef Michael Bennett’s innovative ideals have helped revolutionize and shape the public’s reflections on, and about chefs. He has encouraged Miami Foodies to use Social Media and our locally available South Florida tropical foods to promote what our Caribbean neighbors have to offer the hesitant home cook. “That is his gig, a monster of culinary facts”, says people know him. Like his first cookbook, “In the Land of Misfits, Pirates and Cooks” a GLUTEN-FREE cookery guide and, his fourth and fifth cookbooks “Natural Recipes that will Change your Life, Vol. 1 and 2“, All-Natural SURF CUISINE also features 100 plus recipes, more than 30 Full-color recipe pictures and an intriguing re-account on how he pursues his goal of cooking healthier.